First post guys, I'm looking for a cheap laser with AirPrint this looks like it ticks both the boxes. Get connected easily with the DellTM Printer Easy Installer with WiFi1, Ethernet and USB connectivity options. Reduce effort and paper usage with automatic two-sided printing. Connect and share your printer with ease: Get flexible connectivity with USB, WiFi and Ethernet options. Simple to print and simple to maintain Dell Printer Hub – Your complete printer software: Declutter your desktop with one intuitive interface for all your printing needs. This one-stop, complete solution integrates printer essentials and cloud connectivity for easy document management and control of your printer. Still using my Dell 3330, and still got a spare in the attic, or I'd have been all over this! What price are the replacement toner cartridges available at? Are compatibles available? Still using my Dell 3330, and still got a spare in the attic, or I'd have … Still using my Dell 3330, and still got a spare in the attic, or I'd have been all over this! Same here, they were a bargain! got same one delivered today for the in-laws, took ten mins to set up, real easy to do, bulkier than my Samsung but this has a paper tray and double sided printing which mine lacks. only done a few test prints to test different devices, but didn't run into any issues. seems a very good printer for the money. hot. No No No must not buy myself another laser printer! Have a colour one I bought a couple of years ago and it still hasn't run out - looks excellent value, and if mine was anything to go by, has perfectly respectable build quality. Don't need it, but an Airprint/Cloudprint Wireless Auto Duplex Laser for £36 Delivered, Just had to. My first laser, will upgrade to a colour when my trusty Epson runs out of ink. For the price paid, features offered, and the quality of product, this was an awesome deal. Easy to set up, I was wireless printing in under fifteen minutes. Hi does this also scan and photocopy? Just ordered one now, Quidco gives additional 2.5% cash back on it. Does it come with starter cartridge and how many pages! Can't go wrong for a student. Will be full of beer within a month. Is it just me or is this a re-branded Brother printer? I've previously used internet-ink.com but they don't have any. Thanks, ordered one, hopefully cheaper to run than my inkjet. Thinking of buying a printer for uni, because printing prices are a bit ridiculous, just thinking whether I should go for this, or whether I will need colour options as well. Are the 'e' models not discontinued now? Just what I was looking for. Great find, thanks! all of the "e" dells are rebranded brother printers. all dell printers have been discontinued. Thinking of buying a printer for uni, because printing prices are a bit … Thinking of buying a printer for uni, because printing prices are a bit ridiculous, just thinking whether I should go for this, or whether I will need colour options as well. tbh, unless you do art or some form of media/graphics work you will never really find the need, and even if you would then 1 or 2 trips to a print shop a year won't hurt. Colour is pretty much a novelty that is generally not utilised, so black is the way to go IMO. tbh, unless you do art or some form of media/graphics work you will never … tbh, unless you do art or some form of media/graphics work you will never really find the need, and even if you would then 1 or 2 trips to a print shop a year won't hurt. Colour is pretty much a novelty that is generally not utilised, so black is the way to go IMO. I disagree. I have a dell colour laser and me and my wife use it all the time, for personal and work. You can print copies of reports and PowerPoint presentations in full colour, and it's really useful for colour photocopies. B&W will be ok for a lot of students, but colour is good. 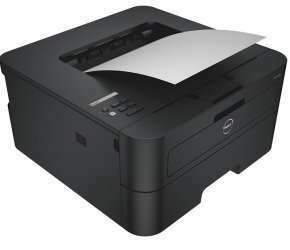 I've just bought junior a Dell c176nw laser from Ebuyer - costs £110 new, but replacement toners are really cheap. I disagree. I have a dell colour laser and me and my wife use it all the … I disagree. I have a dell colour laser and me and my wife use it all the time, for personal and work. You can print copies of reports and PowerPoint presentations in full colour, and it's really useful for colour photocopies. B&W will be ok for a lot of students, but colour is good.I've just bought junior a Dell c176nw laser from Ebuyer - costs £110 new, but replacement toners are really cheap. but it begs the question whether those powerpoints "need" to be in colour. 99% of the time they dont. Being "good" doesn't warrant the cost for colour for the average person. ​if it's a rebranded brother...can you use the hl-L2360dn toner in this? they're cheaper than the dell ones. ​if it's a rebranded brother...can you use the hl-L2360dn toner in this? t … ​if it's a rebranded brother...can you use the hl-L2360dn toner in this? they're cheaper than the dell ones. i looked into it and there is some mechanic included to prevent that from being done. I'm sure someone knows how to modify it to work in the dell. i looked into it and there is some mechanic included to prevent that from … i looked into it and there is some mechanic included to prevent that from being done. I'm sure someone knows how to modify it to work in the dell. ​thanks for the heads up! might look into it later, bought the printer anyway, it's very good. can't believe it's duplex and WiFi for £35. print quality is great and it's fast to wake up. I use my epson sx235w once or twice a month to print no more than 20 pages. Now something went wrong with nozzles and I amafter a replacement. Is this printer ok for users like me? ​Me too. Spare new dell 3330 still in the attic. Do you have any paper feed problems with that printer? Mine keeps picking up 2 papers at a time. Tried all sorts of different paper types/thickness settings. surely the Ricoh is the superior product? Deal posting newbie! This is Odriscoll40 first deal post. Help out by leaving a posting tip or just to show your appreciation for their contribution.